Shortlisted for The Seamus Heaney Centre for Poetry First Collection Prize 2017. Shortlisted for The Roehampton Poetry Prize 2017. 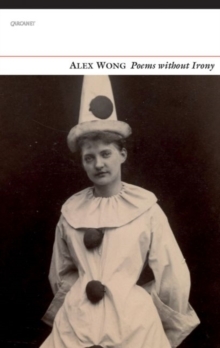 Poems without Irony is Alex Wong's first collection. In subject, tone and form it ranges widely. The book as a whole does not address any one paticular theme, but much of it is concerned with the experience of particularity, with the bounds of moral calculation, and with the need for precision - of thought and of speech - as an aim or obligation. Tensions between the 'natural' and the artificial, intention and expression, good faith and bad, are recurrently felt as the poems negotiate their various kinds of ambivalence. The style is governed by a desire for simplicity almost equal to the lure of extravagance, and by the tendency of its subtly differentiated voices towards an elusive playfulness in the face of serious matters. The poems are designed to be read aloud, or at least 'using the mouth'. Wong's patient and sympathetic listening to the sounds of English poetry in all periods has enriched the patterns of his own. 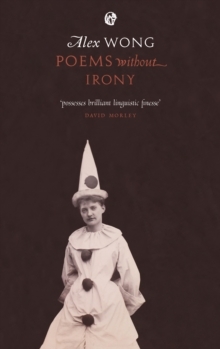 The poems, therefore, enfold many memories of earlier styles - revived, or still vital, but also gaining new tonal energy in a functional strangeness.